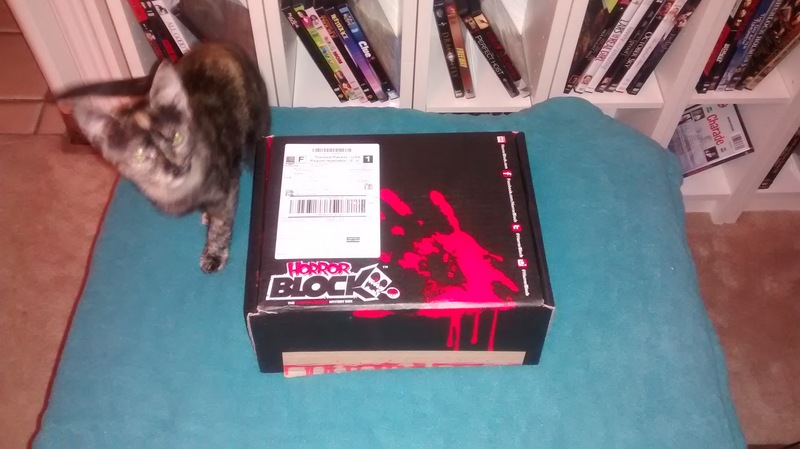 August marks my 3rd Horror Block and actually the 3rd month of the subscription service. 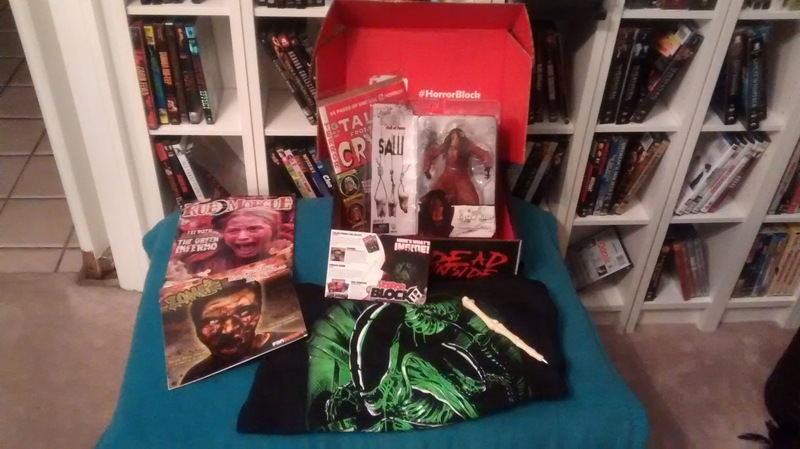 Horror Block launched its first box in June 2014. 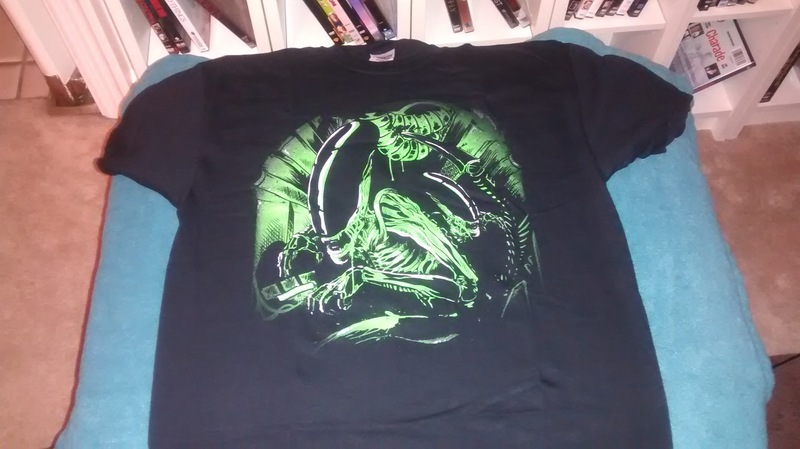 I signed up in good faith and have been loyal ever since. 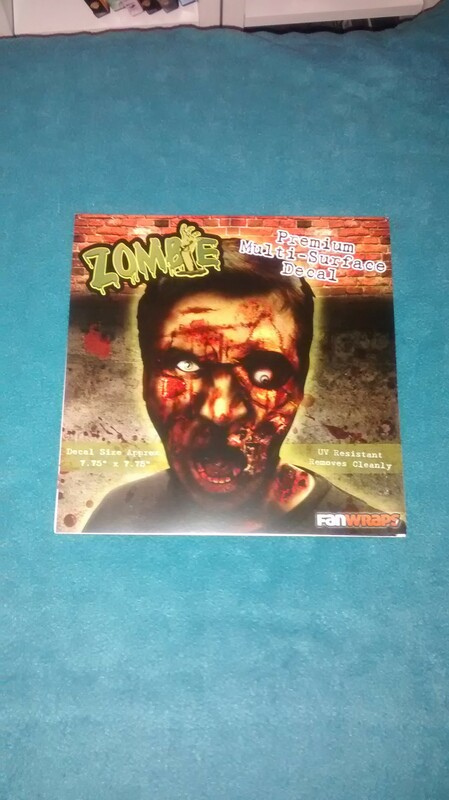 Back in 2013 I subscribed to another horror subscription service-Box of Dread. 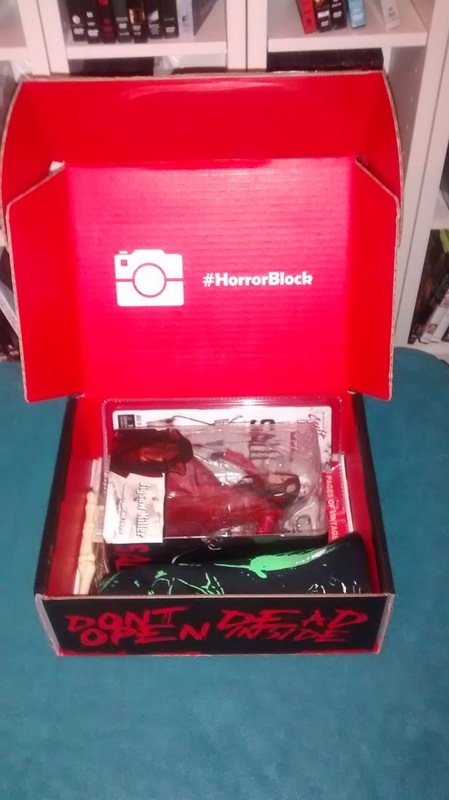 I wasn’t happy with it (read more here) but Horror Block consistency delivers awesome boxes! 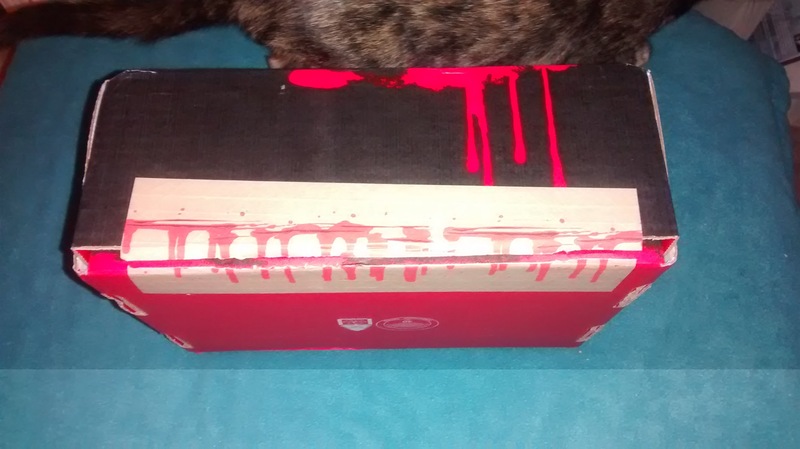 Each month I’ve been exceptionally pleased with the service so for August, I decided to document my unboxing. 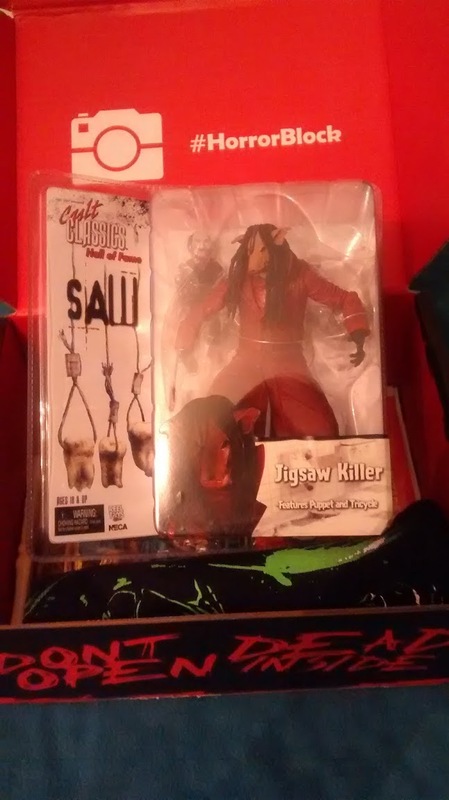 Here’s my haul! Kitten disclaimer: June Bug’s are always closer than they appear. 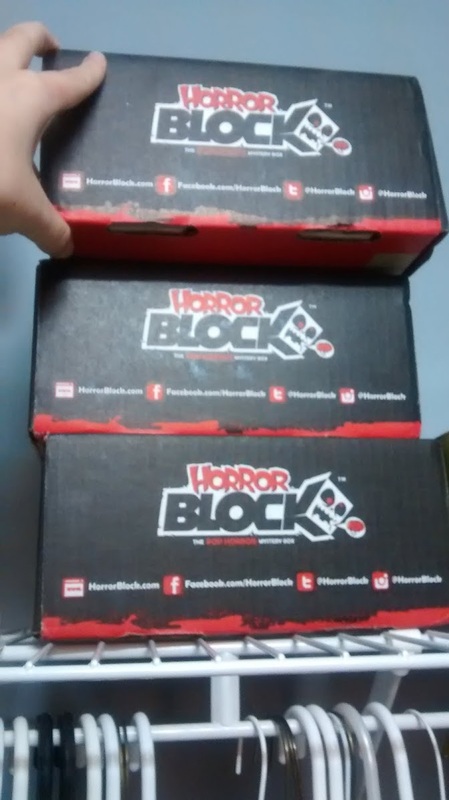 It may be insignificant, but I do appreciate the details of Horror Block’s exterior. 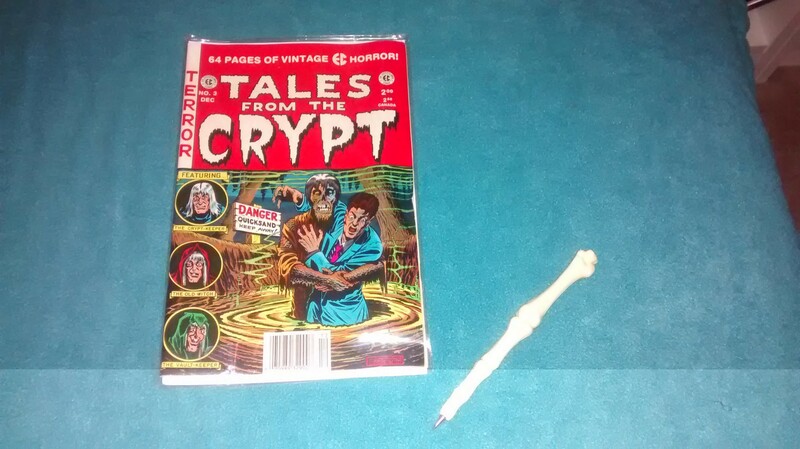 The bloody tape is a nice touch. 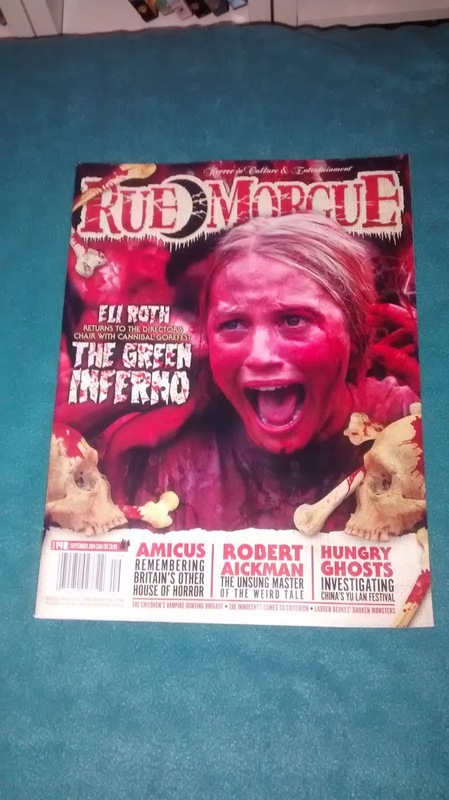 Thanks for another great month, Horror Block!!! Off to the closet while me and June Bug will anxiously await next month’s delivery.